Christmas Festive Lights. 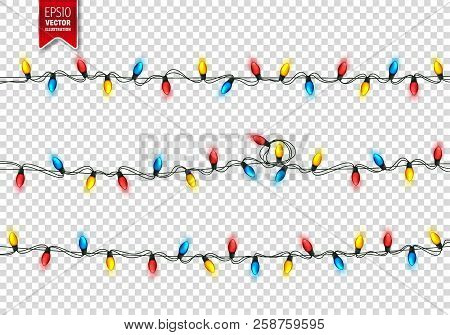 Decorative Glowing Garland Isolated on Background. Shiny Colorful Decoration for Christmas and New Year Holidays.